With customized reflex airfoils, the Blaze allows you to fly with no surprises while being resistant to collapses in even the roughest air. It features excellent stability throughout the full weight and speed range. Managing the angle and radius of turns is effortless despite its high reflex stability. 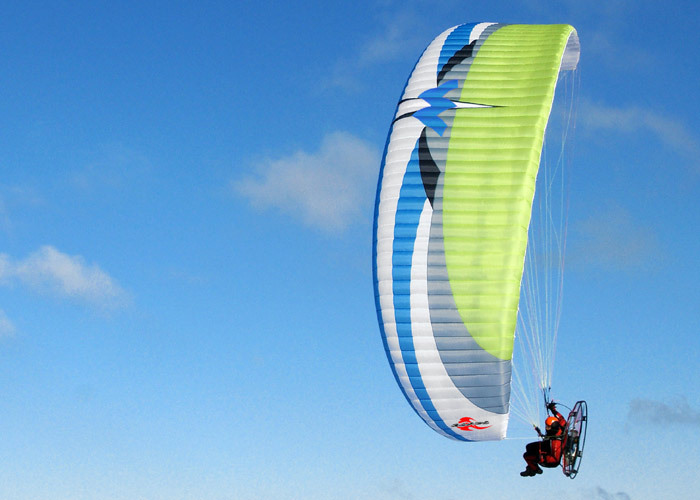 The canopy offers uncompromising flexibility and agility in turns. The Blaze absolutely carves through the air with ease! With trimmers in closed position brake pressure is light and turns are enjoyable. When fully released the brake pressure gradually increases. 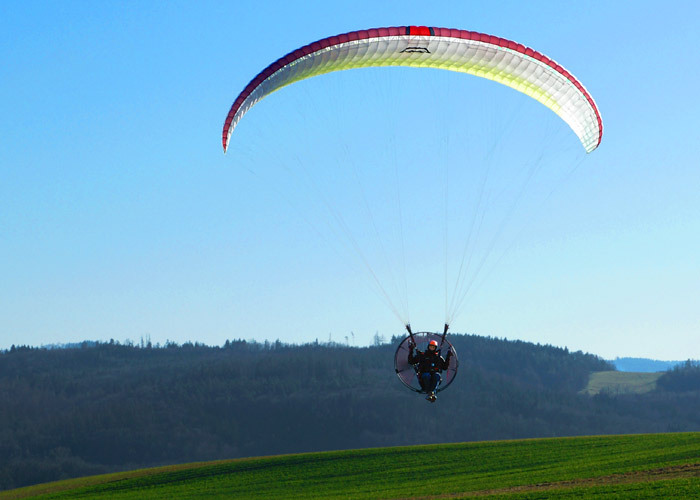 Mac Para gliders are well known for excellent launching and landing characteristics. The Blaze is no different. 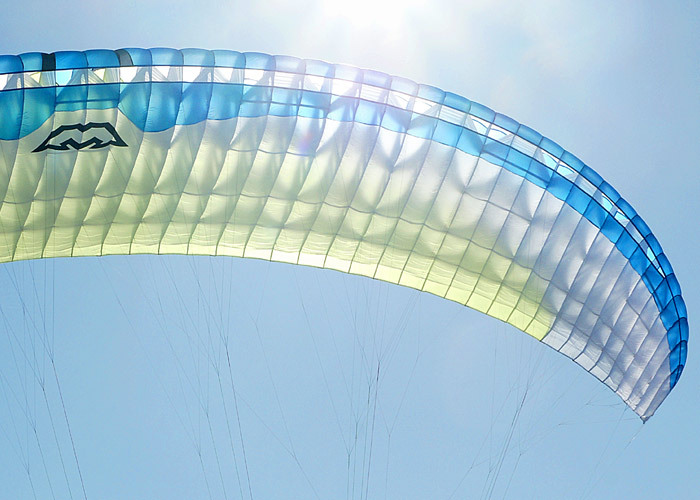 These characteristics offer safe, easy launches and landings even in no wind conditions even when heavily loaded. 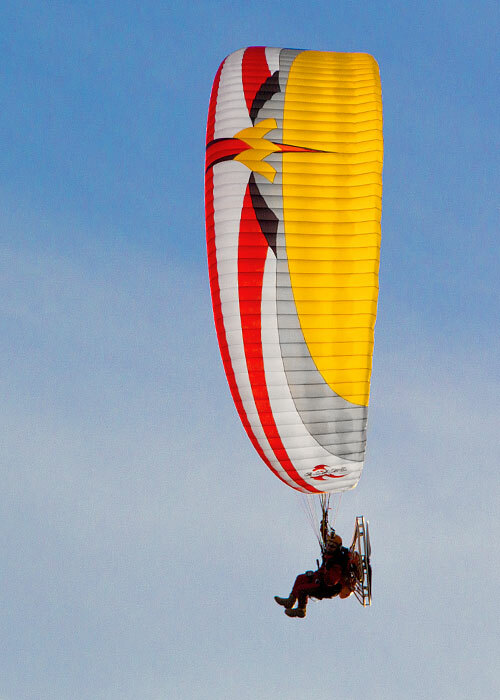 The canopy has an aspect ratio of 5.31 and is fitted with New Age 3D Design. The Blaze has 58 cells with diagonal segments. Lines are attached to every second or third rib and the lines are divided into three tiers. 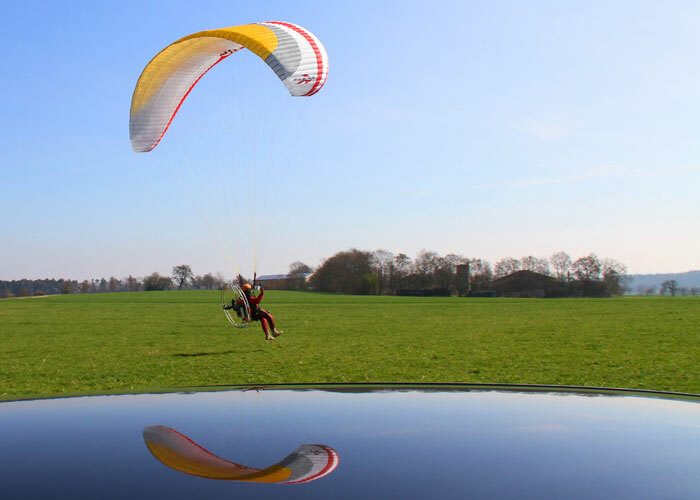 The Blaze is equipped with rear-riser trimmers with a long range for deceleration (4 cm) and acceleration (10 cm) of the glider. The risers include split A’s to facilitate Big Ears. You will discover a specially designed wingtip steering kit for steering in accelerated flight. Mac Para has spared no attention to detail with construction of the Blaze. It comes equipped with ultrathin, soft and ergonomic brake handles allowing for more comfortable flights. The brake handles also come standard with swivels, and extension loops for relaxed steering during long flights. Incorporating strong, sewn-in brake magnets on the handles makes securing them to the risers, either in flight or during take-off preparation, much easier. Self-cleaning outflow holes on the wingtips help to keep the canopy clean. It automatically removes any sand, grass or small stones when inflating the wing. 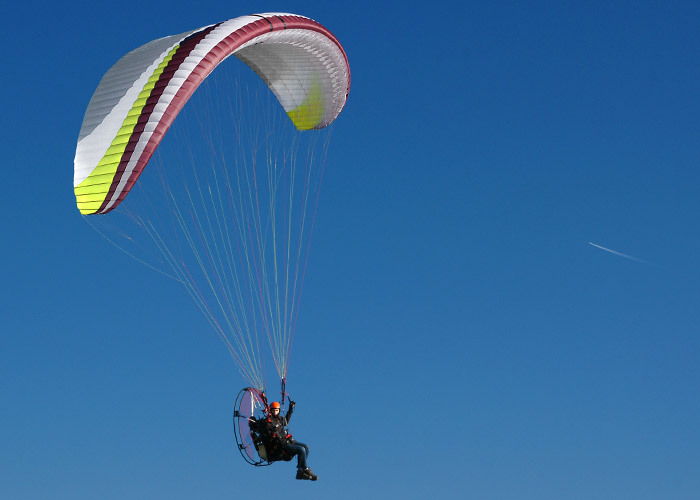 As with all MAC PARA gliders, the use of high-quality materials and constant quality control measures throughout the manufacturing process are obvious. The Blaze is available in five sizes and covering a total weight range of 77 kg to 180 kg. Please check the specifications for full details to determine the most suitable size for your hook in weight. 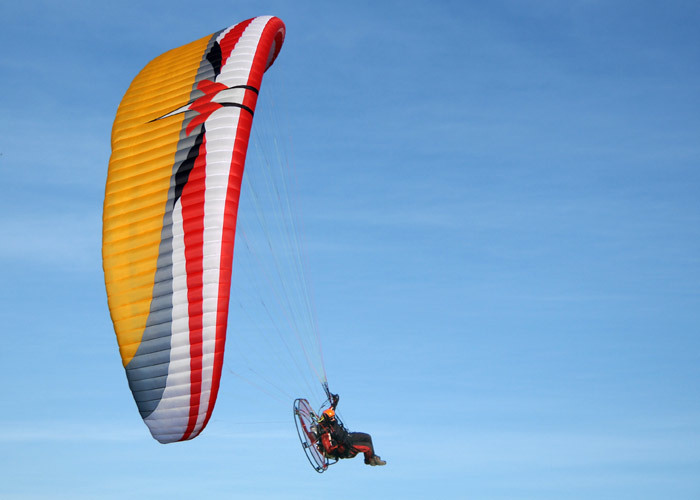 The Blaze is manufactured using the paragliding industries well established lightweight material with excellent durability; Skytex 38 Classic, from Porcher Sport (NCV). For the supporting and diagonal ribs we use Skytex 40 Hard with “hard finish” coating E29A. This gives the advantage of a sail that is both lightweight and very durable.